Monitoring Times magazine will be shutting down after its December 2013 issue. Publisher Bob Grove told contributors in an e-mail that, after 33 years, he and his wife, Judy, have decided to retire. He also said that "a combination of a down-turned economy, as well as the ready availability of free listening and technical information on the Internet, has reduced sales and subscriptions throughout the marketplace." The impending closure of MT will leave CQ's sister publication, Popular Communications, as the only national magazine serving shortwave listeners, CBers and scanning enthusiasts. Perhaps a victim of its own success, the ARRL's Logbook of the World online QSO database continues having problems, despite the delayed release in June of a new version of its "Trusted QSL" software (version 1.14.1). At its meeting in July, the ARRL board of directors approved a motion to hire another full-time staffer with "strong IT development and architectural skills" to work on the system, according to the League's website. In addition the board authorized spending $75,000 to hire outside help to improve LoTW's "database implementation." There had been no indication as of press time as to what impact the ongoing problems and the League's efforts to solve them may have on the addition of LoTW support for CQ's Worked All Zones (WAZ) award, which was targeted for launch in the second half of this year. She's a grandmother, a retired math teacher and a ham. 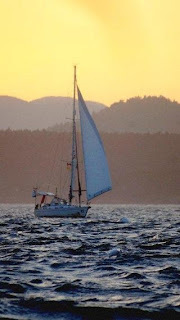 And now, 70-year-old Jeanne Socrates, KC2IOV, can add solo circumnavigator to her resumé. 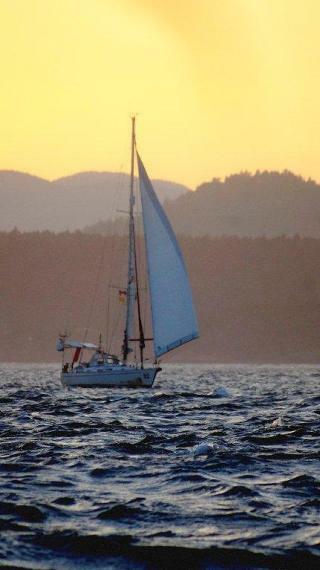 On July 8, Socrates returned to Victoria, British Columbia aboard her 38-foot sailboat, Nereida, after a non-stop solo voyage around the world that began there last October 22. Ham radio was her main communications link during the nearly nine-month voyage. The ARRL Letter reports that Socrates also had a satellite phone on board but it died a couple of months into the trip. Between October and May, she used Winlink on the HF ham bands to send e-mails and update her blog, at <www.svnereida.com>. But then her computer failed as well, and her group of regular ham contacts used SSB to collect updates from Jeanne and post them on the web. Socrates used the trip to raise funds for Marie Curie Cancer Care, a UK-based group that provides free home-based care for terminally-ill cancer patients. In the words of N7LWF, who first brought this story to our attention, the trip "not only highlights what a 70-year-old woman can do, but also what ham radio can do." We reported last month that Don Rolph, AB1PH, had petitioned the FCC to permit encryption of certain sensitive information in the course of emergency and emergency-preparedness communications, to avoid running afoul of privacy restrictions in HIPAA, the Health Insurance Portability and Accountability Act. When the FCC posted the petition for comment, the ARRL filed comments in opposition, pointing out that HIPAA rules apply only to health care providers, insurance companies and health care clearinghouses, and ARRL Letter, the League also said it is unaware of any instances in which served agencies have been reluctant to use amateur radio as part of their emergency or disaster plans because of personal privacy issues. The timing of this filing was unusual for the ARRL, which usually waits until the FCC issues a Notice of Proposed Rule Making before filing formal comments on petitions. The ARRL board directed General Counsel Chris Imlay, W3KD, at its July meeting to prepare a Petition for Rule Making with the goal of eliminating the "symbol rate" restrictions on amateur HF digital communications. Currently, FCC rules limit HF symbol rates - the number of times per second that a change of state occurs, according to ARRL CEO Dave Sumner, K1ZZ - to either 300 or 1200 bauds. New digital modes that use higher symbol rates within standard RTTY and SSB bandwidths of 2.8 kHz are being stymied by the rules, the League says, so it will petition the FCC to change the rules to "encourage both flexibility and efficiency in the employment of digital emissions by amateur stations." compromise the experimental purposes of the Service," pointing out that hams typically resolve station-to-station interference issues on their own and that what amateurs really need is "protection from spurious and out-of-band emissions from other services." considerable time at its July meeting discussing the issue of choosing a successor. The board established a CEO Candidate Screening Committee, whose first job will be to establish search criteria. It was also authorized to hire an independent management consultant and to recommend at least three CEO candidates to the board for consideration "at the appropriate time." Oklahoma State University student interning with NASA's Education Projects Office. The AMSAT News Service reports that Nolan Replogle, a computer engineering major, upgraded the scheduling software to add a user interface and to integrate more efficiently with NASA computers and staff that deal with the overall scheduling for the space station and its crew. Replogle named the updated software ARRISA, or ARISS Assistant. If all goes according to plan, then by the end of this year, astronauts aboard the International Space Station making contact with school groups via ARISS - Amateur Radio on the International Space Station - will be able to supplement their voice transmissions with digital video and audio. Plans were under way to send the necessary equipment up to the station in August, according to the ARRL Letter. The program is being spearheaded by AMSAT-Italy. Two potential difficulties are that receiving the video downlink will require a 4-foot dish antenna and that each location's "window" for video reception would be limited to three-to-four minutes. Program planners are working to develop a network of ground stations that could create a "chain" of receivers to pick up signals as the space station passes over them. temporary call sign of W100AW for use during 2014 by headquarters station W1AW and "by others as the W1AW trustee designates," according to a posting on the League's website. in the January 2004 issue of CQ. 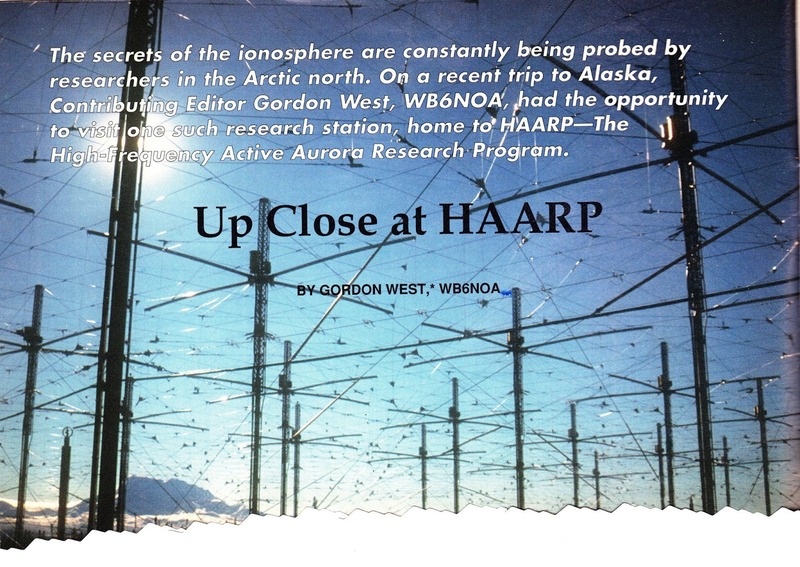 HAARP - the U.S. government's High Frequency Active Auroral Research Program - has shut down due to lack of funding. 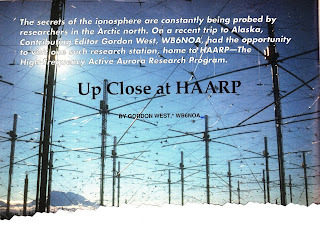 The ARRL Letter reports that the research facility in Alaska that has been closed since early May. "It comes down to money," Program Manager Dr. James Keeney told the ARRL. "We don't have any." Keeney says the facility is currently under control of the U.S. Air Force, but that if no other agency steps forward to resume its operation, then it will eventually be dismantled. The 60-foot dish antenna with which the U.S. Army first received signals bounced off the moon may soon become available for amateur radio moonbounce use. 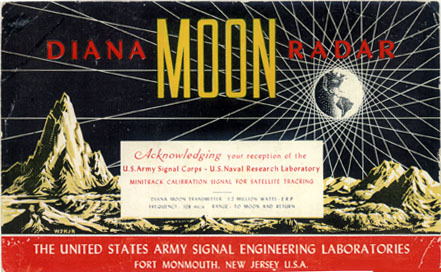 The tracking antenna at the former Fort Monmouth in New Jersey was used for the first EME (Earth-Moon-Earth) experiments, known as Project Diana, in 1946. It is now part of the Info Age Science History Museum. The dish has been dormant since the 1970s and in now being rehabilitated. According to the ARRL Letter, Info Age board member and Princeton University physics professor Martin Flynn, W2RWJ, wants to use the dish for radio astronomy, but also wants to make it available for 70-centimeter amateur radio EME on a secondary basis. Work is being slowed by the fact that there has been no power to the site since Hurricane Sandy nearly a year ago, and the entire facility is still running on generator power. The local government approved installation of a new transformer in late July, so restored power appears to be on the horizon. For more information on the Info Age museum, visit <www.infoage.org>. The FCC's Office of Engineering and Technology recently released a list of more than 100 experimental licenses issued between August 1, 2012 and February 1, 2013. Among them were four issued to radio amateurs - NO3M, N4LTA, WA3ETD and KB5NJD - for experimentation in the low-frequency ranges of 135-137 kHz and 460-480 kHz. Both of these band segments are being considered for possible secondary amateur allocations. The ARRL is calling on the FCC to evaluate the interference potential of unlicensed wireless devices on the 5 GHz band before going forward with plans to make additional frequencies available there. In reply comments filed in the ongoing proceeding on unlicensed National Information Infrastructure (U-NII) devices, the League reiterated its argument - apparently bolstered by the National Telecommunications and Information Administration - that aggregate interference caused by the use of thousands of these devices remain unknown. U-NII devices include vehicular collision avoidance systems and other so-called dedicated short-range communications applications. The League also pointed out that while Congress ordered the FCC to begin a rulemaking proceeding on permitting U-NII devices at 5.35-5.47 GHz, the Commission added 5.85-5.925 GHz to the NPRM of its own accord. Amateur radio has a secondary allocation at 5.65-5.925 GHz. In true amateur radio spirit, Stephen Cass, KB1NWR, has authored an article for the IEEE (Institute of Electrical and Electronics Engineers) Spectrum magazine describing a braodbanded software-defined (SDR) receiver that can be build for only $40 worth of parts. According to Newsline, Cass built the receiver using a Freeview P250 dongle, and indoor TV antenna and a Model B Raspberry Pi microcontroller. The complete article and a video of the device in operation may be viewed at <http://tinyurl.com/inexpensive-sdr>. The ARRL board of directors in July approved creation of a Section Youth Coordinator position as part of the League's volunteer field organization. ARRL staff and the board's Program and Services Committee will define the roles and responsibilities of the new position, which will replace the popular but informal position of Assistant Section Manager for Youth. The first ASM/Youth was appointed in the early 1990s by then-NNJ Section Manager and now CQ Editor Rich Moseson, W2VU. Is there a 2-meter pathway between Australia and South Africa? One Australian ham radio group has set up a beacon to try to find out. The VK6RIO beacon, on 144.950 MHz, was set up in Perth, Western Australia, by the Northern Corridor Radio Group in hopes that it might be heard across the Indian Ocean in South Africa. Newsline reports that the beacon is running 100 watts into four 8-element Yagis and running digital Chirp modulation, which can be detected some 50 dB below the noise floor. For more details on the project, contact Keith Bainbridge, VK6RK, at <vk6rk@wia.org.au>. In the U.S., there have been periodic attempts to prove the existence of a similar transatlantic path to Europe. There is a well-known duct that appears annually between the U.S. west coast and Hawaii.